What is a beacon platform without scale? A science project. Scale, in terms of audience, is the single biggest limiting factor for any company attempting to successfully leverage beacons as a marketing channel. In an article for Inc. Bill Carmody, Founder and CEO of marketing agency Trepoint, goes in-depth on his conversation with Todd Dipaola, the founder and CEO of inMarket, about scale. 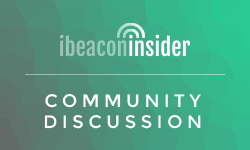 We’ve written about inMarket recently for reaching 18% of the US population with their iBeacon Platform. In-house apps have been at the core of retail mobile strategies since the advent of the medium–but they have a notoriously small reach. The top 10 retailer apps reach an average of 4MM shoppers per month–just a fraction of shoppers who walk through their doors. Those app users are the top loyalists, so they’re important–but the real beacon opportunity for retailers lies in reaching that 97% of less loyal shoppers they’re missing in-store. 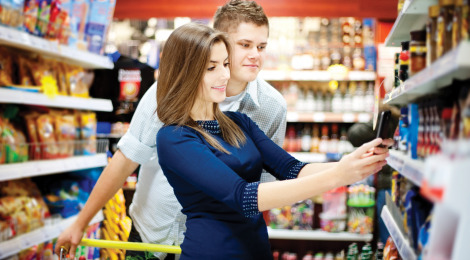 Those shoppers are using apps and receiving advertising messages in-store, but many retailers are not controlling that experience in other apps, though they could. The thing is, proximity marketing will most certainly transform shopper marketing as we currently know it and beacon technology is opening up entirely new opportunities in the physical retail space. But this is where most retailers struggle. They see the transformative properties of being able to leverage the past 20 years of digital best practices inside their physical space, but then get lost in the weeds as they look to build their own closed-looped system (from their own hardware, app and content). Mr. Dipaola has it right … and not just because he’s build the world’s largest beacon’s network. Mr. Dipaola pulls from other examples such as the Sunday circular. Early on, each retailer self-published until their realized that working with local newspapers gave them scale and ultimately drove more volume. The same can be said for websites that pre-date social media. Back in the day, the focus was to drive as much traffic as you could to your own website until businesses identified that marketing to customers where they spent most of their time was much more effective. Well, you get better scale if the same content management system handles many types of access methods. In retail e.g. QR Codes, iBeacon, NFC tags and SMS. The same info, different ways of getting to it. That’s what we do.